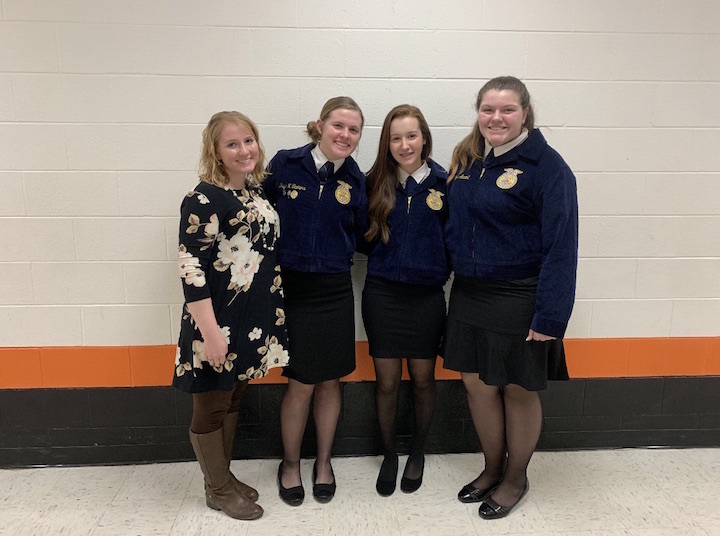 Fairfield FFA had three members participate in the Public Speaking CDE. These members included Paige Teeters, McKenzie Arnold and Kylie Fauber. Fauber placed first in Creed Speaking with a gold rating and will move on to districts in Peebles next week. Arnold placed second in Creed Speaking with a gold rating. Paige Teeters placed fourth in the Extemporaneous Speaking Contest and also received a gold rating also. Congratulations to these members for their accomplishments.